June – a month packed with Seaford Events! 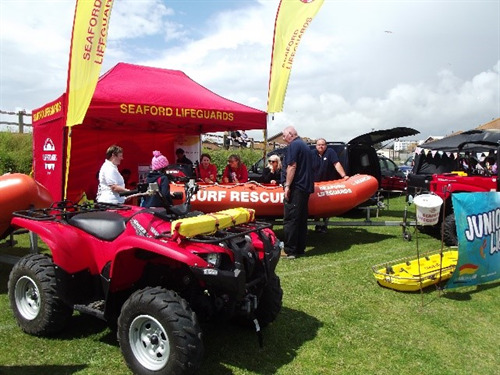 Seaford Town Council saw a month packed with events in June, starting with the Mayors Garden Trail, followed by Sussex Day and moving on to a packed weekend starting with Seahaven Veterans and Armed Forces Day and finishing with Motorfest! 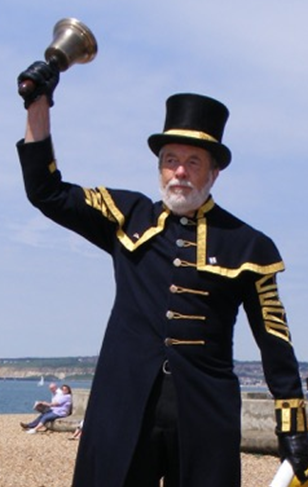 Seaford Town Council would like to thank all those who attended Sussex Day. 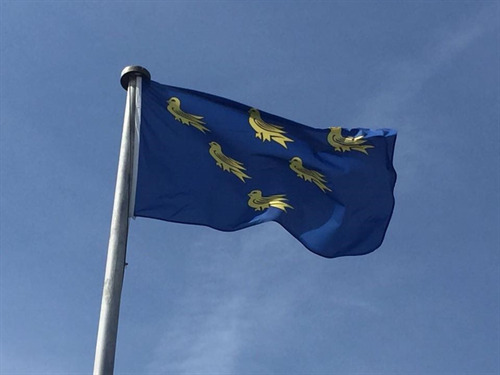 On Sunday 12th June, the Mayor of Seaford Lindsey Freeman raised the Sussex Flag to celebrate the rich heritage and culture of Sussex. The Town Crier Residents and visitors were also able to wish Her Majesty the Queen a very happy 90th birthday. The Seahaven Veterans and Armed Forces Day is organised by Seaford Town Council alongside Royal Society of St George who organised the parade and hospitality. 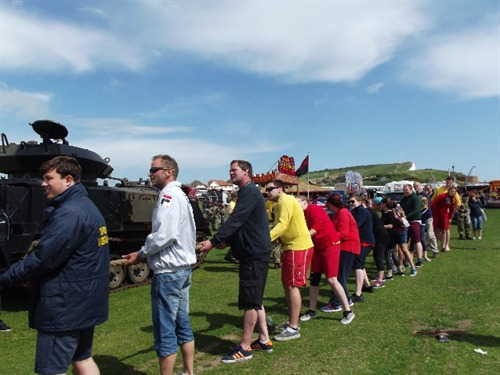 The day enjoyed music from Seaford Rock and Jazz, a fantastic display from Kitkar who raced against time to build a car as quickly as possible, as well as Cadet drills and a display by Seaford Lifeguards. Seaford Town Council would like to thank all the volunteers, sponsors, stall holders and those involved in displays for supporting the event. Motorfest followed Seahaven Veterans and Armed Forces Day and saw lots of classic cars and Motorcycles on display, as well as a variety of amazing live music. Council either via email: admin@seafordtowncouncil.gov.uk or phone: 01323 894870. For more Seaford Events including community groups activities, meetings and other local events you can visit the Events Calendar hosted by Seaford Community Events Committee. http://www.seafordcommunityeventscommittee.co.uk.